A sandwich with no bread, meat, cheese, or condiments?! Sounds like sacrilege, until you remember the summertime treat that is the centerpiece of today’s food holiday. August 2 is National Ice Cream Sandwich Day! Ice cream sandwiches were first created when advances in freezer technology enabled ice cream to last longer than thirty minutes without melting into a sweet, sticky puddle – sometime in the 18th century. 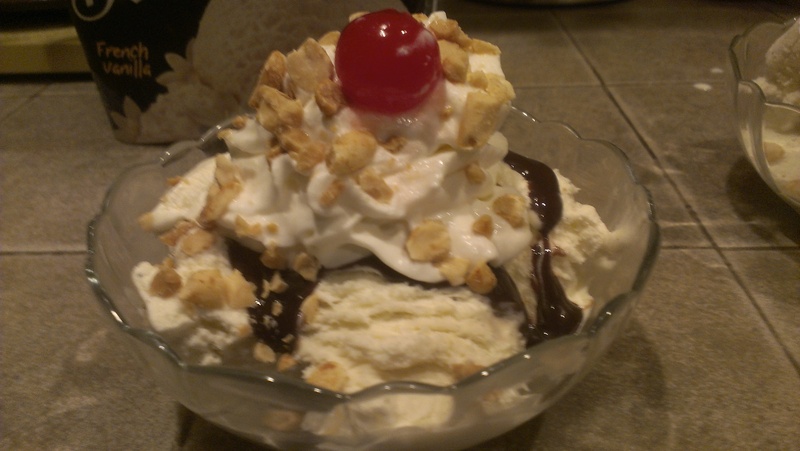 Victorian-era chefs began layering ice cream in between slices of cake and freezing their confection. 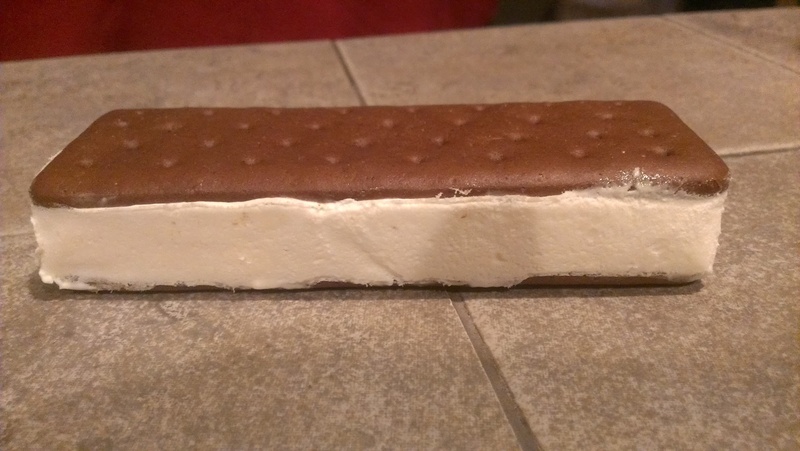 Ice cream sandwiches and other “novelties” became popular in the end of the 19th and early 20th centuries, when they were a cheap way to beat the heat. According to the Encyclopedia of American Food & Drink, “Ice cream sandwich (slabs of ice cream sandwiched between cakelike cookies)…began appearing in the late 1890s on New York street vendors’ carts. In San Francisco the It’s It ice-cream bar was a similar item made with oatmeal cookie layers.” In 1926, a patent was issued for the Anderson ice cream making machine, no doubt saving countless hours that would otherwise be spent assembling the desserts by hand. Blue Earth, Minnesota claims to be “the birthplace of the ice cream sandwich,” but provides no facts to back up their claim. Sounds like a desperate grab for attention to me. I love ice cream sandwiches, so this was an easy holiday to celebrate!